Harris, the presumed patriarch of his large extended family in both England and Pakistan, has unexpectedly received a small fortune from his divorce settlement with an English woman: 53,000. As a devout Muslim, Harris views this sum as a burden of riches that he must unload on someone else as quickly as possible. But deciding which relative to give it to proves to be a burden of its own, and soon he has promised it both to his extremely poor cousins in Pakistan and to his Westernized, college-student daughter. Then, in a rash bout of guilt and misunderstanding, Harris signs the entire sum away to the least deserving, most prosperous cousin of all. This solves none of his problems and creates many more, exacerbating a tricky web of familial debt and obligation on two sides of the world, until the younger generation steps in to help. With insight, affection, and a great gift for character and story, Dastgir immerses us in a rich, beautifully drawn immigrant community and complex extended family. She considers the challenges between relatives of different cultural backgrounds, generations, and experiences and the things they have to teach one another. 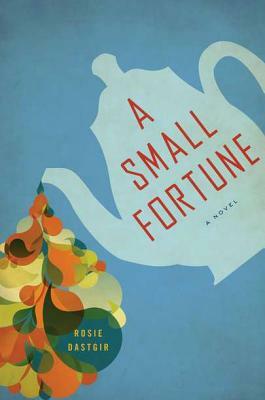 "A Small Fortune" offers an affectionate and affecting look at class, culture, and the heartbreak of misinterpretation. Rosie Dastgir was born in England to a Pakistani father and an English mother. She was educated at Oxford University and received anMFA in film from NYU's Tisch School of the Arts. She lives in Brooklyn."